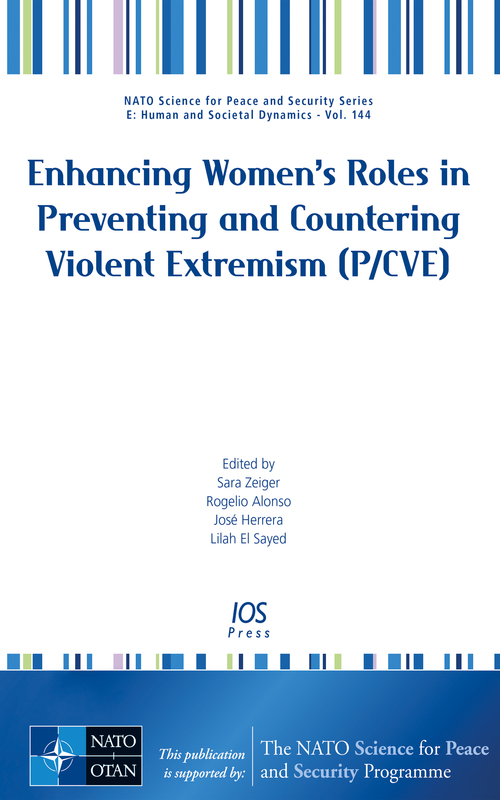 Zeiger, S., Alonso, R., Herrera, J., El Sayed, L.
This book presents edited contributions presented at the NATO Advanced Research Workshop (ARW) Enhancing Women’s Roles in International Preventing and Countering Violent Extremism Efforts, held in Madrid, Spain, from 19–21 March 2018, organized by Hedayah and the Fundación para el Análisis y los Estudios Sociales (FAES). The workshop was aimed at building on existing good practice and recommendations from the fields of countering violent extremism (CVE) and women, peace and security (WPS), recognizing that while many women facilitate acts of terrorism, willingly support terrorist groups and perform terrorist acts, they can also play a key role in preventing the violent extremism. The fight against terrorism requires a whole-society approach in which women’s participation is essential. Contributors to this volume explore the extent to which terrorism and violent extremism are gendered activities. They also discuss the importance of women’s social and political participation in helping to counter acts of terror and violence. Evidence-based research is used to identify how women can be empowered to enhance the fight against terrorism, and to identify opportunities for substantive, meaningful roles across a wide spectrum of counter terrorism activities.